There are many things to consider when shopping through the choices of hosting providers offering web services. Innovation is at the forefront of the technological market, and visualization technologies and hosting providers have become more popular and essential to the success of an online service. Larger companies and individuals who have been looking for more control over their hosting have been upgrading rapidly from their older hosting subscriptions to the newest form of web hosting called docker, an innovative container technology for maintaining their services. The first thing that needs to be understood is the difference between virtual machines and containers. Virtual machines are the older technology that encompasses all of the guest operating systems, binaries and everything necessary to run the applications which can take up many gigabytes. Containers on the other hand share the kernel with multiple spaces which are independent and isolated from the operating system and can function on any cloud or provider. Docker containers provide complete applications that enable operators to organize their information and processes in a simple fashion. They also provide a guarantee that the software will function properly under any condition allowing the environment to fluctuate without affecting your web hosting services. 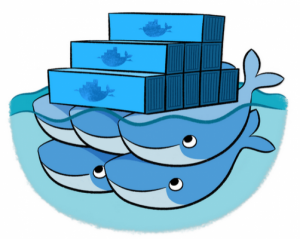 There are many important things to consider when looking to upgrade to docker hosting. The containers use less RAM than virtual machines and can prove themselves to be much more cost effective. These open ended systems are also providing operators with the significant benefit of being able to function on multiple platforms and operating systems with ease. This allows you to change and manage the administrative applications from anywhere at any time. Containers are a beautiful thing for the visualization technology and web hosting industry as they isolate applications from each other which inevitably provide an extra layer of protection and security. This innovative technology has become overwhelmingly popular within the business industry of web hosting as it provides larger sites and operations with more flexibility and greater opportunity for expansion. There are multiple facets of docker hosting that allows flexibility and room for creativity on behalf of the operator. Language of the functions can be changed to whatever you like, and you don’t have to worry about affecting any other processes. Docker also makes it easier for individuals to find, transfer and write code within their software. There are many providers of docker hosting yet the software packages can be found for purchase online. It is important to consider many different aspects about your web hosting needs when looking at upgrading to a docker style web hosting platform. The size of the operation, the administrative control required as well as your level of expertise as an operator when it comes to visualization technology are all important aspects that contribute to which hosting service is most appropriate for your operation. Ensure that all of these aspects are thoroughly considered before investing in a specific subscription package. Docker systems have become the most popular method of web hosting for larger companies as it is the most cost effective solution when using large amounts of storage, secured and private through isolated containers and innovative in its platform allowing users to personalize their experience. All of these aspects contribute to the success of docker hosting and are one of the top upgrades made within the past year for some of the most successful companies worldwide. This innovative system will become the new normal within visualization technology and should be investigated by all developers and operators using web hosting applications. Are you docker hosting already?